Brian here. Peter and I have some big plans for this rhinoceros. Here's my latest contribution to our portfolio. Be sure to come back on Thursday and Saturday this week for two more special Wally da Wino comics... and of course, don't forget our regular updates! 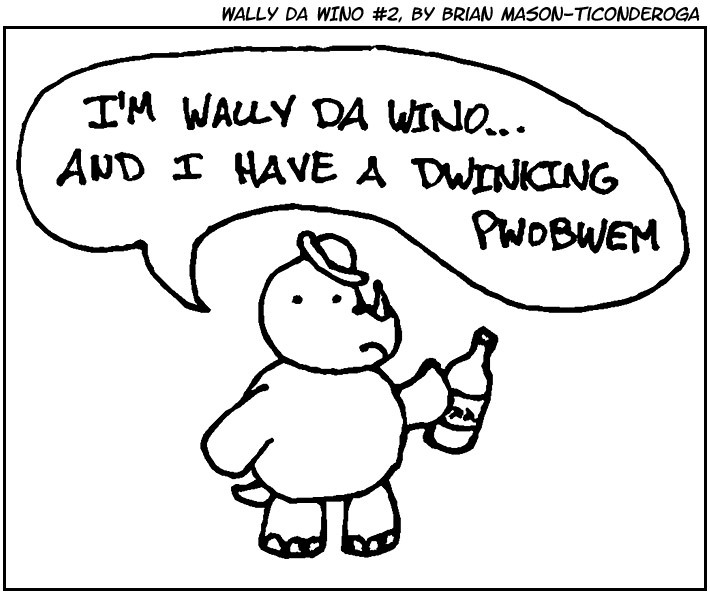 PS - Just in case you don't remember, check out Peter's first Wllay da Wino comic.